Having a website of your own in the internet does not guarantee to boost your sales instantly. Your website is your online store. It should be as unique as it should be so that your website would be easily distinguished by your visitors. Designing your website should contain all the key elements that you need to consider. These are the things that are mostly been overlooked but in reality, it does almost everything to make your website be on top. To give you a summary of what your website design should have, here’s five of the key elements you need to consider: Easy Navigation Your website should be a user-friendly one. Simple and easy navigation is all it should take. Finding all the information your visitor needed from your website in a small span of time would make them stay longer in your website thus browsing even more. Navigation bars are usually placed on the top. Call to Action Your website should not only be for viewers. Your visitors should take a certain action to contact you or somehow leave some inquiries with their details so that you’ll know how to reach them. Your call to action should be strong and noticeable through the color, style, size and button you would use to it. One of the popular call to action that is usually used is a contact form. Typography Emphasizing the important details in your website would be effective through the use of the correct typography in your website. It includes the style and size of a font. Your texts should everything should be easily read while establishing certain structure within the content. Color Scheme The colors on your website would leave a certain impression to its visitors. 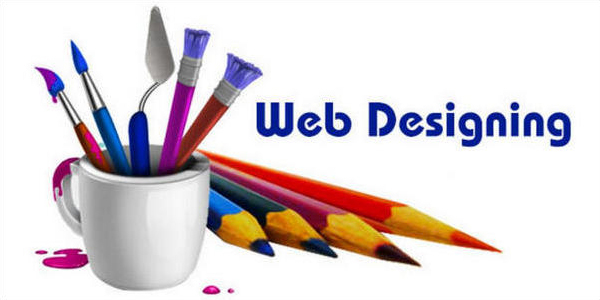 It would set the mood of your website design. Choosing the correct color scheme should be based on what kind of site do you showcase and how much do you know about the audience your website wants to achieve. Visual Design People are visually oriented. The more stunning visual effects you have in your website, the more your visitors will be attracted to it. But take consider on what kind of images you would place in your website. The more unique and personal your images are, the more beautiful it will be. Great website design would pretty amazed your visitors as well as important contents would be more appealing and noticeable.